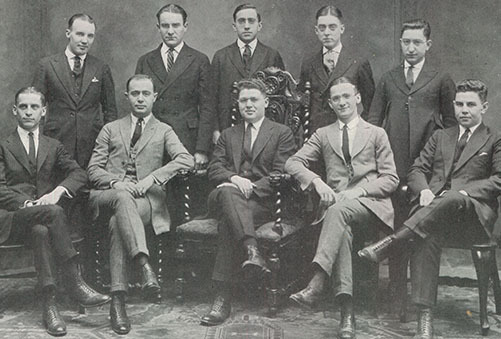 The first clinical facilities of the Pennsylvania State College of Optometry officially open on May 6, 1920. 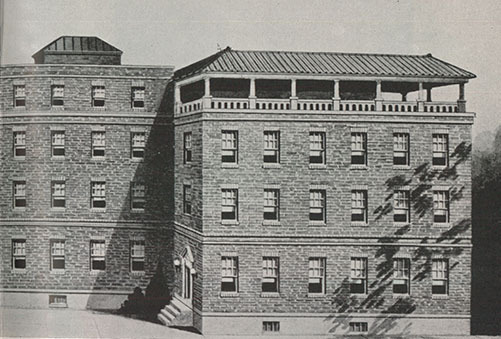 The optometric and ophthalmological clinics each occupy one room in the original College building at 1809 Spring Garden Street and operate two afternoons a week. 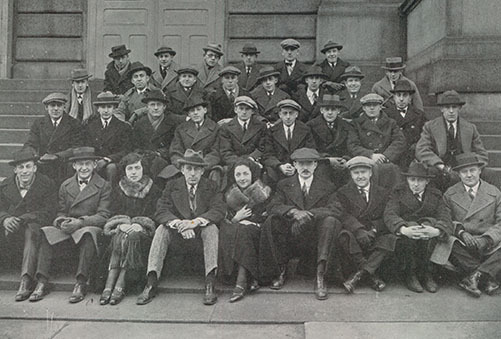 In June 1922, the first class of 26 graduates at the very first Commencement Exercises held at the Academy of Music, 240 S. Broad St., in Philadelphia. Entrance requirements are raised to include graduation from a four-year high school course. The Pennsylvania State College of Optometry becomes the first to confer the degree of Doctor of Optometry. The program of study is increased in length from two to three years. PSCO completes the construction of a building extension to house the new clinical facility located at 1810 Brandywine Street. 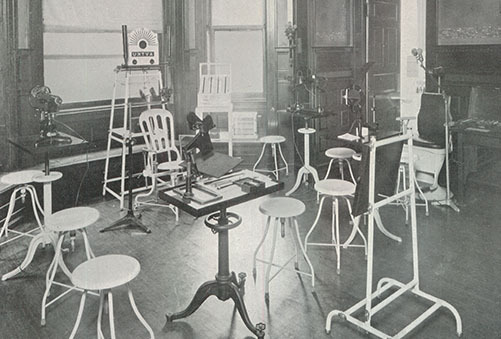 Patients are examined every afternoon in eleven refracting rooms and one ophthalmological treatment room. The clinical faculty includes the director, two chiefs and eight unpaid assistant chiefs. Students in their final year complete all of the refracting and fitting of eyeglasses under the direction of the faculty. Patients are referred to the clinic by social welfare agencies. Optical manufacturers and laboratories donate both lenses and frames. When a prescription is ordered, the glasses are fabricated by students and dispensed to the patient at no charge. Night classes are discontinued.